Full and Hybrid Open Access publishing is on the rise. Publishers benefit from this new revenue stream, but some struggle to administer the operational aspects of this newer business model. Increasingly, institutional details and funder information, as well as discounts, need to be considered when managing estimating and collecting Article Publication Charges (APCs) from authors. These details can be challenging to manage with legacy systems. 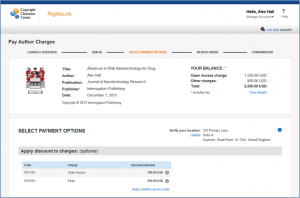 In response to developments in the Open Access market and the need to process APCs in an efficient manner, Aries integrates Editorial Manager with APC collection tools like RightsLink® for Open Access developed by the Copyright Clearance Center (CCC). 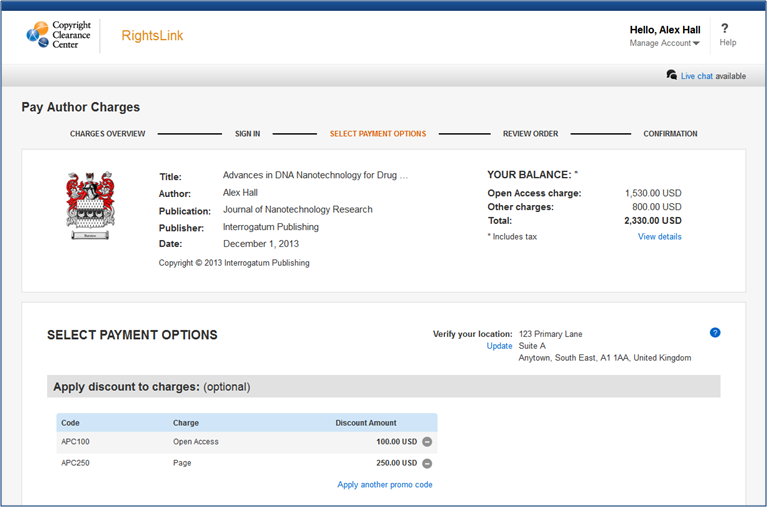 This means that publishers can quickly and easily manage APC collection in-workflow during submission and peer review. Because Editorial Manager already collects key metadata that drives APC pricing, this integration is the most streamlined and efficient APC management option available for journals using EM. The publisher’s Editorial Manager system administrator uses standard configuration tools to activate the functionality. There is no charge from Aries directly to the publisher for this functionality. RightsLink will implement the publisher’s APC business rules allowing the author to pay the publisher’s APCs via web interface. Non-exclusive – Publications using EM can have any APC collection system they are using built right in to their deployment. Standards-based – Leverages Ringgold IDs to confirm institution and FundRef IDs to confirm funder details. Both of these IDs are used to drive pricing and licensing requirements in RightsLink.